Live Solar is a residential and commercial solar company in the United States with more than 50 years of combined experience helping clients all across the country. We take pride in being able to identify the specific needs and lifestyle of our clients and matching those with our US manufactured and affordable solar energy systems. As one of the leader’s in the solar revolution, we bring our seamless solar solutions to residences with a diverse range of technology and services. This allows us to maximize value and minimize risks by delivering top-notch, dependable, and affordable solutions for our clients. Along with off-grid solar, wind and hybrid energy systems that include batteries and backup generators, there are also grid-tied solar and wind operations. Grid-tied systems are attached to your Kalamazoo, MI utility company so if you produce more energy than you use, your meter goes down and you build up energy credits. 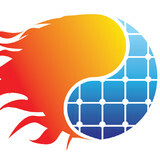 Find solar energy contractors in Kalamazoo, MI on Houzz. Search the Professionals section for Kalamazoo, MI solar energy contractors or browse Kalamazoo, MI photos of completed installations and look for the solar energy contractor’s contact information.